A key goal of the National Disability Insurance Scheme is to promote employment of people with disability. Financial independence, improved health and wellbeing, building social networks and finding a sense of purpose are just some of the benefits of having a paid or unpaid job. 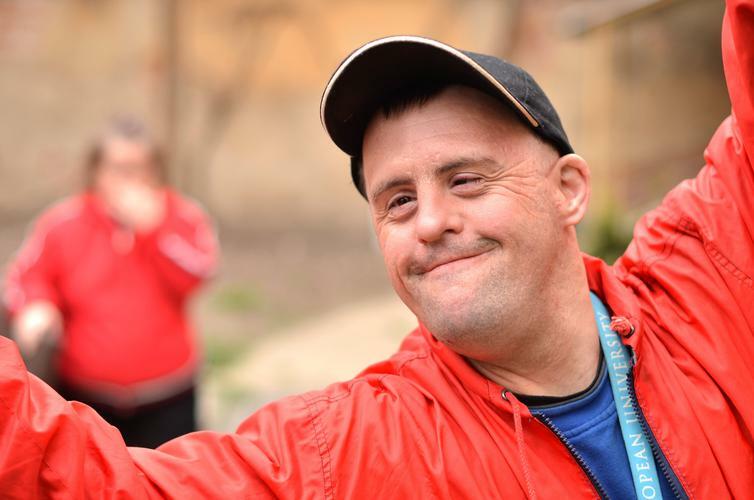 Building capacity and economic participation through employing people with disability also reduces the need for full-time support and day programs, giving family members and carers more time to participate in the community or work in their own job. If you have a disability and want to work, there are a few avenues you can take. If you have a permanent disability you may want to access Disability Employment Services (DES). DES is not funded under the NDIS but by the Department of Social Services. DES can help you find and maintain work in a mainstream environment, known as open employment. 1. Employment Support Services for job seekers with permanent disability and an assessed need for regular, ongoing support in the workplace. 2. Disability Management Services for job seekers with disability, injury or health conditions who are not expected to need long-term support in the workplace but may need irregular flexible support to keep a job. Services provided through DES include allied health services to help improve work capacity, assistance with job searching, résumé preparation and support for education and training. To find out more call JobAccess on 1800 464 800 or visit their website. Another option if you are looking for employment is through Australian Disability Enterprises (ADEs). ADEs employ people with disability in a supported working environment. ADEs typically support people with disability who may struggle to find or keep a job in a mainstream environment. Supported employment at an ADE is funded by the NDIS under the support category ‘Finding and keeping a job’. Under the NDIS, ADEs can help you to gain training and experience to either transition into open employment or continue in supported employment if they’d prefer. Over 170 ADEs currently employ more than 20,000 Australians with varying degrees of disability who are not currently able to work without support. Supported employment places are no longer capped under the NDIS, meaning ADEs can offer more opportunities to more people. Visit the BuyAbility website or call 1300 043 517 to find supported employment opportunities near you. If you’re in your final year of school and would like a job when you leave, you could access NDIS funding for School Leaver Employment Supports (SLES). SLES offers individualised support for up to two years after finishing Year 12 to help build skills and confidence to transition from school to work. SLES funding can be added to your NDIS plan during your initial planning conversation, or a scheduled or requested review with your planner or Local Area Coordinator. Any NDIS-registered provider can deliver SLES supports. Your chosen SLES provider will work with you to identify supports which will help you achieve your individual employment goals. Volunteering is another great way to meet new people, learn new skills and become involved with your community in a fun and supportive way. Volunteering is freely giving your time to help another person, organisation, group or cause, and can also help build your confidence before transitioning into employment. Volunteering has been linked to increased health and wellbeing and improved self-esteem, while also reducing stress, loneliness and depression. To find volunteering opportunities in your community, head to Volunteering Australia's website. If you would like to volunteer in your community but feel you need some assistance, like a support worker to go with you, you can apply for NDIS Core funding under ‘Assistance with social and community participation’.